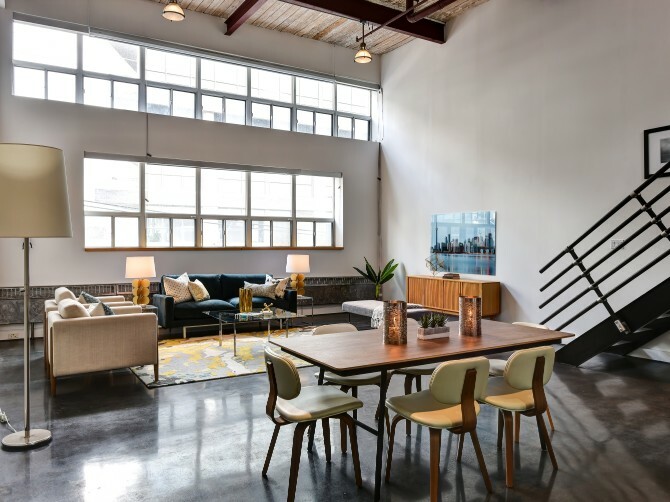 Authentic dreamy hard-loft in Leslieville’s iconic iZone with underground parking! This suite has the rights to build a direct access 450 sq.ft. rooftop terrace. Newly ground and polished concrete floors. Freshly painted. Soaring 17+ft ceilings. Big bright east facing windows that front on Carlaw Ave. 2 full baths. Hardwood floors on mezzanine. This suite’s vast open-concept space does not disappoint and would be ideal for either a show stopping home or office or both!